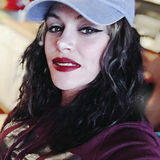 Hi my name is Crystal I'm 30yrs old single mom of 7 I currently work in a nursing facility in Manteca Ca as a housekeeper and also work in the laundry. I've been at my job for about 10yrs now I started off working as an activity assistant and did that for about 3yrs than I left for about 2yrs to give birth to my 3rd son and to spend time with my ex husband whom had just returned from deployment in Iraq. I returned back to my previous job as a housekeeper/janitor/laundry personal and been here since. My job duties require cleaning and disinfecting dining areas in the morning and afternoon rooms, bathrooms and hallways. I do floor cleaning which include sweeping and mopping and occasionally floor buffing. We are assigned a deep clean room everyday and also do special projects on the weekends. People would describe me as a loving caring funny social very hard working person. I am very dedicated and really love what I do..in order to be in the cleaning industry you definitely must love to clean and I'm that person.